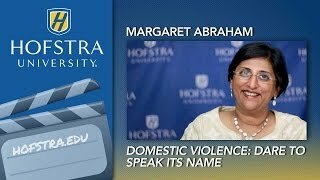 Margaret Abraham is Professor of Sociology at Hofstra University and is the President of the International Sociological Association, (ISA 2014-2018). She previously served as ISA Vice President of Research and as the American Sociological Association Representative (ASA) to the ISA (2010-2014). Her teaching and research interests include gender, ethnicity, globalization, migration and domestic violence. Courses that she teaches include senior seminars on "Violence Against Women" and "Globalization, Work and Citizenship" (Soc 191); Women, Gender and Development (soc 32) and Public Sociology (Soc191). Margaret has published in various journals including Gender & Society, Violence Against Women, Indian Journal of Gender Studies and Social Justice. 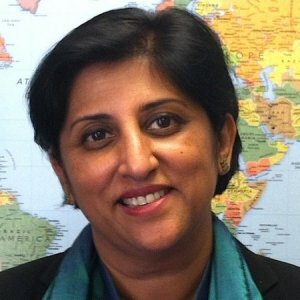 She is the author of Speaking the Unspeakable: Marital Violence Among South Asian Immigrants in the United States (Rutgers University press 2000), the first book on domestic violence within the South Asian diaspora in the United States and won the American Sociological Association: Section on Asian and Asian America Outstanding Book Award in 2002. She also co-edited, Contours of Citizenship: Women, Diversity and the Practices of Citizenship published by Ashgate (Spring 2010); and Making a Difference: Linking Research and Action (Current Sociology Monograph:SAGE 2012). Margaret has been involved in research and activism in the field of domestic violence in the South Asian immigrant community for over 20 years. She serves on the editorial boards of journals and has been an advisory board member and consultant on national projects related to issues on violence against women. She served on the Board of Directors of Sakhi for South Asian Women and the Asian Pacific Islander Coalition on HIV/AIDS (APICHA) and Westbury Friends School in Long Island, New York. Margaret has been honored for her community action research by several organizations including Sakhi for South Asian Women, Apna Ghar in Chicago, Domestic Harmony Foundation, Indus Women Leaders, the Indian American Kerala Cultural and Civic Center, and the Office of the Executive, Nassau County, State of New York. In 2013 she received the Sociologists for Women in Society Feminist Activism Award. Her work has been profiled and quoted in the New York Times, Chicago Tribune, Newsday, India Abroad, Malayalam Pathram, India Today, Indiathink.com, and Rip Rap: The Academic Book Program. Awarded by the Sociologists for Women in Society. Awarded by the Domestic Harmony Foundation. Awarded by the American Association of Indian Social Workers. 2014-2018 term. Founded in 1949 under the auspices of UNESCO, ISA is a non-profit association for scientific purposes. Its function is to represent sociologists everywhere, regardless of their school of thought, scientific approaches or ideological opinion. ISA’s membership spans 167 countries. 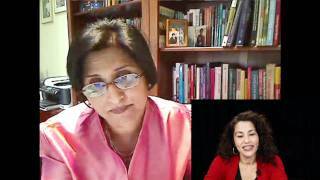 Margaret Abraham is the author of Speaking the Unspeakable: Marital Violence Among South Asian Immigrants in the United States, the first book on domestic violence in the US South Asian community, where she coined the term "SAWO: South Asian Women's Organization." She served on the Board of Directors of Sakhi for South Asian Women and the Asian Pacific Islander Coalition on HIV/AIDS (APICHA) and Westbury Friends School in Long Island, New York. Professor of Sociology Margaret Abraham was noted as the inaugural speaker of 44th All-India Sociological Conference, according to an article in The Hindu, one of India’s largest English daily newspapers. She spoke about the need for sociologists to examine issues of inequality and injustice. Statistically, Indians have the best educations and earn the most money among new Americans. They enjoy an annual wage almost double the national average, and wield buying power of as much as $20 billion each year, according to the news magazine India Today. In most of South Asia, the status of women, Hindu and Muslim, is measurably the lowest in the world. "For South Asians, marriage is not just a relationship between a husband and wife, but also between their families," said Margaret Abraham, a sociologist at Hofstra University who is researching marital violence among South Asians. "This adds to the pressure to be perfect, not just as a wife but also a daughter-in-law or sister-in-law. There is also this notion that a woman is the guardian of the family honor. If she were beaten up and complained about it, she would be bringing shame on the family." globalization, migration and domestic violence. Margaret Abraham is honored to receive many awards and recognitions for her research, activism and leadership. The Sydney S. Spivack Program in Applied Social Research and Social Policy Community Action Grant Seen and Sheltered: Effective Responses to NIMBYISM 2007-2008 (co-recipient). International Sociological Association - Research Committees Grant: 2007 (co-recipient). Hofstra University Presidential Research Award for 2007-2008, 2006-2007, 2005-2006. Hofstra University, Center for Scholarly Research & Academic Excellence Grant 2007-08, 2005-06. Asian Studies Supplemental Research Hofstra University 2004-2005, 2003-2004, 2002-2003.